Scór is a word that means a lot to many of the people of our parish. It is the cultural arm of the G.A.A. and consists of Instrumental music, Set and figure dancing, solo singing, Group Singing, Recitation, Sketch and Question Time. All are competitive events with the winners going right through to an All-Ireland Final providing terrific entertainment. Its aim when it was founded in 1969 was to fill a great void left in the G.A.A. when the field games were over and with no activity for the long dark winter nights. This was when floodlights in pitches for winter training were unheard of. Myshall was first involved in 1973/74 with a half set but as time went on there was huge representation in all sections of the competition and in 1975 Myshall participated at Co. level in six competitions and won all of them and the novelty act went on to represent Carlow at Leinster final level but were unfortunately not victorious. 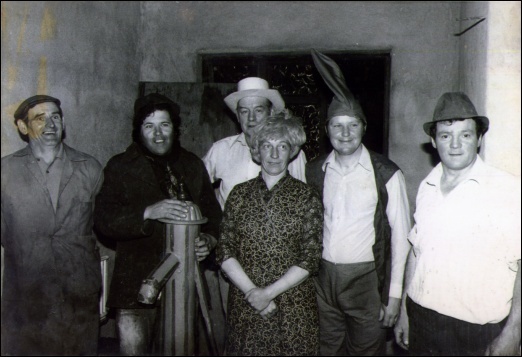 The following year 1976 saw Myshall not only participate but host both the County final and Leinster Semi-final with the Community Centre newly built after a fire in 1974 and this year with a sketch entitled ‘Richie’s mints’ (named after the minister of finance at the time Richie Ryan), they won the Leinster Final. The final was in Leisureland in Galway but success eluded them beaten by a team from Co. Tipperary. In 1977 the local area was once again in the All-Ireland final this time in the Savoy in Limerick and once again they had to settle for second best. In 1980 the parish was very proud to have a team once more in the Leinster Final which was held in the Gaiety Theatre Dublin and once more we went on to the All-Ireland final in the National stadium to be disappointed for a third time. 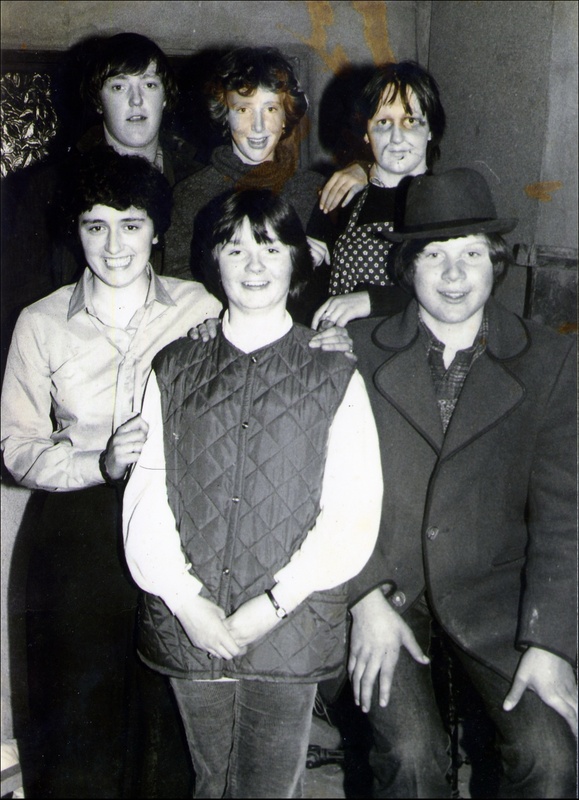 In 1981 the Leinster finals were again held in the Gaiety Theatre and Myshall were there in no less than three events Novelty Act, Instrumental Music and set Dancing. This group of set dancers laid the foundations for the many set dancing sessions that have since taken place in the area. 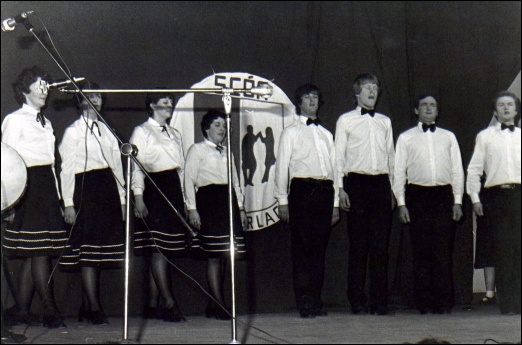 Scór na nÓg was introduced in 1979 and served a two fold purpose - to occupy young people over the winter period offering them alternative leisure time activities and to train them in the cultural heritage of our native country, instilling in them a love for our native dance, song and music. 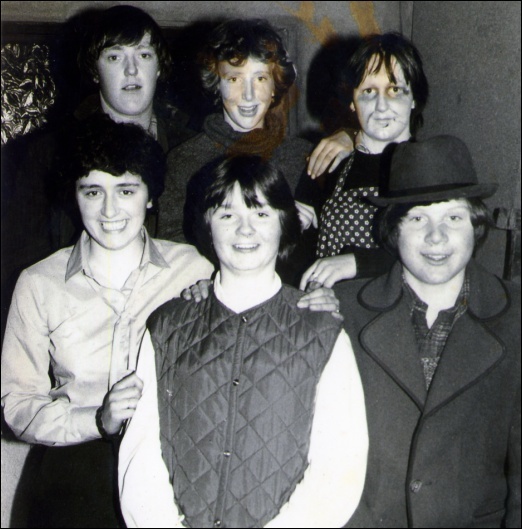 In 1980 a Scór na nÓg team from Myshall won their way to an All-Ireland final emanating their Senior Counterparts. Excitement was very high in the parish and a 54-seater bus travelled to Leisureland in Galway for the final but as with the Senior teams success eluded them. Scór na bPáistí was later introduced for competitors U-14 and Myshall continues to involve this age group in Scór activities. Scór has contributed hugely to our area - the enjoyment gained has been tremendous and while competitively there have been disappointments many people have been engaged in the development and preservation of our culture and quite a number have had the opportunity to perform on National stages in the Olympia and Gaiety Theatres. When we look back we see that perhaps the talents of people like Jim Nolan, Ballinrush and Richie Kavanagh, Raheenwood would have gone untapped except for Scór. Jim won "Entertainer of the Year" in 1986 on R.T.É. and Richie has become a household name with his own brand of song and in all his interviews Richie always pays tribute to his first appearance on Myshall Stage with Tops of the Town and Scór. Scór has trained young children to accept victory humbly and defeat courageously. We are proud and happy to have supported and promoted our traditions and to have activities where there is lots of fun and no alcohol involved.